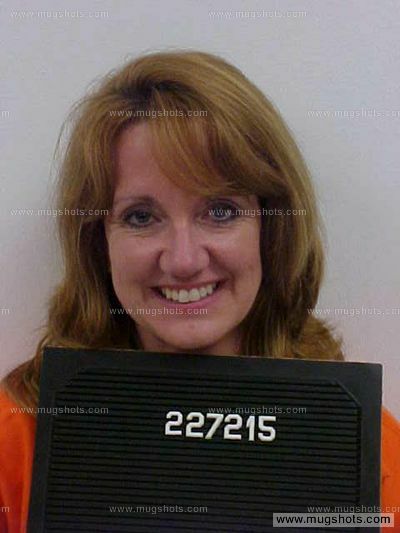 Cheryl McCafferty, who received one of 192 Gubernatorial pardons yesterday from outgoing Governor Steve Beshear, is still in prison and because all Kentucky offices have been directed to close today in observance of the inauguration of Governor Matt Bevin, it's not yet clear when she'll be released. Sources indicate it could be Wednesday. "An inmate can't be released until DOC has received the appropriate paperwork," said Lisa Lamb, Spokeswoman for the Kentucky DOC. Robert McCafferty's father expressed his displeasure in the pardon. "Gov. Steve Beshear’s unexpected pardon of convicted killer Cheryl McCafferty shows a jarring lack of respect for the memory of Bob McCafferty, a lack of respect for his father and siblings, and a lack of respect for the justice system," he said in a statement. "Gov. Beshear’s pardon completely disregards the findings of a Campbell County jury, who convicted Cheryl McCafferty of manslaughter in March 2009, and the Circuit Judge, who sentenced her to 18 years in prison for this crime. The Kentucky Parole Board denied her Parole in 2011 after thorough review of the facts of the case and a face to face interview with her. In November 2015, she was reviewed by the Parole Board and received a Serve Out on the sentence." "We were extremely disappointed and frustrated to first learn about the governor’s pardon from the news media. We weren't afforded the common courtesy of a phone call from his office to let us know about this thoughtless and inexplicable decision. In spite of this pardon, Cheryl McCafferty still committed the heinous act of killing an innocent and defenseless man while he slept. There was no credible evidence of a history of domestic violence presented at the trial." Gov. Beshear, in his last day in office, should not have rewarded her illegal actions with a pardon, which we see as an effort to absolve her of the terrible criminal act that took Bob's life. We continue our love and support for Bob and the wonderful life and legacy he leaves behind. He is deeply missed by his extended family and many friends." With the pardon, McCafferty will get out of prison less than nine years after shooting her husband, Robert McCafferty, in their Fort Thomas home on June 25, 2007. While the pardon by Beshear expedites that, Mike Caudill, from the DOC told FTM previously, that she was eligible to get out of prison beginning on November 16. Since that report, McCafferty completed another vocational program. That means Kentucky has calculated her time in prison as having served over 16 years of her 18 year sentence. Beshear said that the pardons were recommended to him by an extensive joint review by the Department for Public Advocacy and the Kentucky Domestic Violence Association. Campbell County Prosecutor, Michelle Snodgrass, said that while McCafferty's defense team tried to build a defense around the fact that she was a victim of domestic violence, the jury didn't believe the argument, but a sentence deal was made. McCafferty waived all her rights to an appeal in exchange for prosecutors not challenging a defense motion that would characterize McCafferty as a victim of domestic violence. That designation is an important one for McCafferty, because although she admitted to shooting her husband one time in the head, the court system viewed her crime as non-violent and subsequently may be the reason why she's being pardoned. "Cheryl's entire family wishes to express our appreciation to Governor Beshear for granting her a pardon. In addition, the Kentucky domestic violence association has been extremely instrumental by providing legal assistance. It is imperative that society continues to be educated regarding the horrific crime of domestic violence that affect thousands of women and children each year. This crime exists at all social levels and too frequently becomes the hidden family secret. Cheryl's many friends, supporters and family members are eagerly awaiting her return for this blessed holiday season." Cheryl McCafferty found out about the pardon at 6:30 a.m. Tuesday and called her mother in tears. McCafferty's serve out date would have been December 9, 2016. For all the theories, speculations and court, one thing is for certain, this chapter is coming to a close. "The reason we made the deal in the first place was because it’s what the family wanted. A conclusion," said Snodgrass. "They thought they would always have their right to fight against parole and that’s been taken away."